At one point or another, who hasn’t grown a cactus in a sunny window? 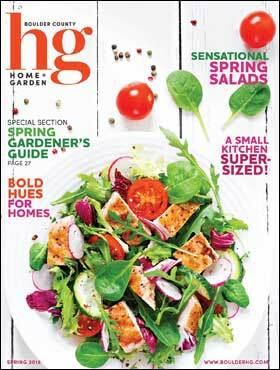 Or perhaps you’ve planted another succulent in a border or a hardy ice plant in a xeriscape? People are embracing succulents these days, even the prickly ones, with enthusiasm. These easy-care plants have interesting shapes and showy flowers, so what’s not to like about these currently trendy plants? 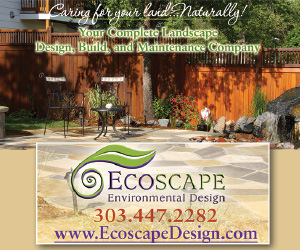 Succulents grow natively along the entire spectrum of ecosystems in Boulder County, from the grassland to the tundra. Four species of ball cacti and four prickly pears occur on the Great Plains in and around Boulder, and several of these grow on sunny slopes at 8,000 feet or higher in the foothills. The ubiquitous spearleaf stonecrop (Sedum lanceolatum) is found throughout this range. King’s crown (Rhodiola integrifolia) and queen’s crown (Rhodiola rhodantha) stonecrops extend well above tree line, and big-rooted spring beauty (Claytonia megarhiza) can grow on the summit of 14,000-foot peaks. Most every landscape has a spot where some type of succulent would thrive, but I suggest the first place to start growing them is in a container. You can put container succulents on your patio throughout summer and fall, but you’ll need to bring them indoors before the first frost (although I’ve had hens and chicks thrive for years in pots around my yard). My favorite hens and chicks for rock gardens or containers is the cobweb houseleek (Sempervivum arachnoideum), which forms dense mounds of rosettes, each neatly woven together symmetrically with white threads that look exactly like cobwebs. There are dozens of selections of cobweb houseleeks, some with greener rosettes, others quite reddish, but all have bright pink (or rarely white) flowers in midsummer on 8-inch stems. There are literally dozens if not hundreds of sedums one can plant in Colorado gardens. Sedum spectabile ‘Indian Chief’ is a good stonecrop for borders, even ones with lean, mean soil. Its long-lasting, fiery red or pink flowers emerge in broccoli-like clusters that turn a rusty chestnut color as fall approaches. Some very useful mound-formers include the SunSparkler hybrids, which can be deep purple, variegated or lime green with showy pink flowers. The Chinese dunce-cap sedums (Orostachys species and hybrids) are so called because their blooms appear on conical stems. The miniature gnome domes is a wonderful hybrid strain of Orostachys that comes in assorted colors. These are all superb container plants for Colorado that bloom late in summer. 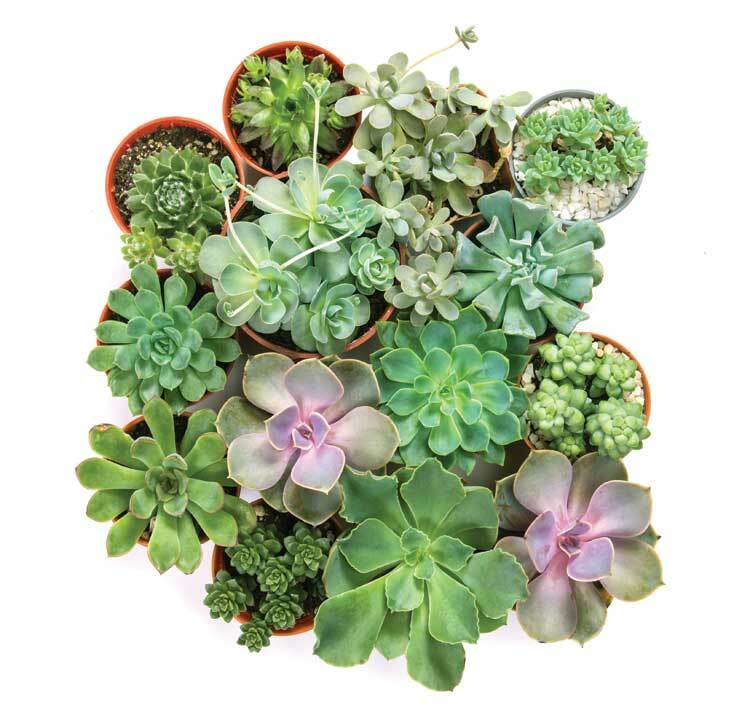 Container succulents differ from potted annuals in their needs. Succulents don’t like rich potting soils. 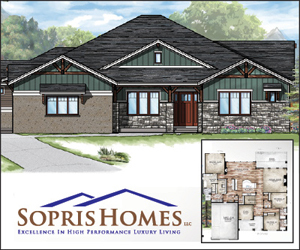 At least a third of the mix should be coarse pea gravel and coarse sand, or volcanic scoria. I do use some organic garden soil in the mix, but no more than a quarter should be potting soil. 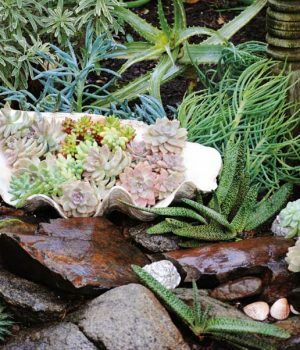 I think succulent containers look best when paired with attractive rocks—the sort you might collect on trips and bring back wondering how to use them. Place these artistically in the container, nestle a few succulents between them, and mulch the whole pot with complementary-colored pea gravel, which will keep the soil moist and the weeds down. The lace hedgehog cactus (Echinocereus reichenbachii), Fendler’s hedgehog cactus (Echinocereus fendleri) and the claret cup cactus (Echinocereus triglochidiatus) all grow natively a hundred miles south of Boulder and you can often find them for sale at very reasonable prices at local garden centers. Nylon hedgehog cactus (Echinocereus viridiflorus) and Missouri foxtail cactus (Escobaria missouriensis) grow in wild profusion around Boulder County. Purple ball cactus (Escobaria vivipara) is an incredibly variable gem that can have softball-sized green clusters with black spines or golf-ball-sized clumps with white spines. Both types sport bright pink or purple flowers in late May or June. All of these wonderful miniatures are sold regionally, and they grow extremely well in containers and dry rock gardens. Beautiful prickly pears are the problem child of the succulent group. 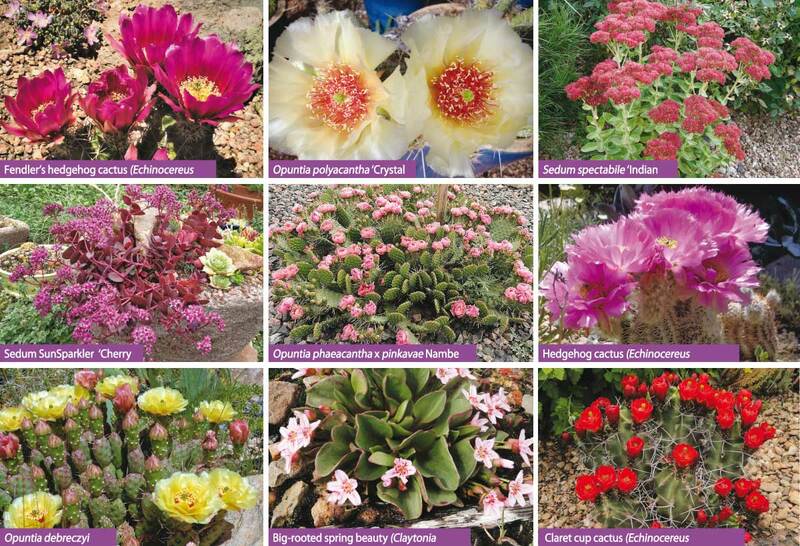 Few plants can rival these cacti for brilliance of flower color or for fascinating pads (leaves) and spines. But the spines can be deadly! Possibly worse than the spines are the tiny glochids innocently tufted at the spines’ base that brush off with ease and torment you for days if you touch them. If you get glochids in a finger, I’ve found that applying masking or duct tape to the affected area and ripping it off quickly often removes them. As a longtime lover of prickly pears, I can advise you that the ONLY way to grow them is to keep your distance. Buy several pairs of tongs—preferably in different lengths—and invest in a hemostat. Then use these tools and train yourself to never, EVER touch a prickly pear. If you can achieve this discipline, you’ll soon find yourself growing a number of prickly pears and gradually recovering from PGSD (Post-Glochid Stress Disorder). The easiest and most adaptable species to grow is the nearly naked common prickly pear (Opuntia compressa or O. humifusa). This appears spineless (and can even be spineless), but it does possess those demonic glochids, although sometimes rather small tufts of them. Consequently, you might be tempted to hold the pad—just don’t do that! A single pad placed in a pot or garden bed (by using tongs!) will often root in a few weeks. This will sprawl in a few years to a yard or more across, and smother your garden come June with enormous soft yellow or golden flowers, often with a reddish center. This plant also produces a showy mass of succulent red fruit in late summer that are dotted with glochids, so beware! Opuntia phaeacantha finds its very northernmost localities in the foothills and mesas of Boulder County. This is commonly twice the size of the naked prickly pear, and has much larger, often dark spines, sometimes crowded on the edge of the flat stems. The flowers can be quite large and usually are a dark yellow, sometimes with a darker orange center. The final prickly pear that grows wild in Boulder County is the tiny fragile prickly pear (Opuntia fragilis). This has tiny pads, roughly the size of lemon drops. It’s a challenge to site this plant in your garden, but in a container it can make an enchanting miniature, often blooming better than in the garden, with large yellow or golden flowers. There’s no end of hybrids between these and many other prickly pears found in a few local garden centers. Many of these cultivars trace back to Claude Barr, the South Dakota rancher who developed the first native-plant nursery selling Great Plains wildflowers. Opuntia polyacantha ‘Crystal Tide’ is an especially popular Claude Barr selection, which has enormous, nearly pure-white flowers. Kelly Grummons, a well-known and beloved local nurseryman, has hybridized many of our native cacti, selecting for heavy flowering and re-blooming tendencies. His plants are available at many garden centers, and these are often extremely rich and varied in their flower colorations, with mango, apricot and various other fruity colors and names that reflect the fantastic color range of these hybrids. These are well worth seeking out. 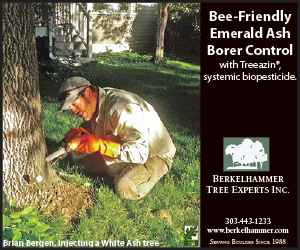 Should you decide to create a garden featuring these plants, I strongly recommend siting them in a very sunny spot or slope, and using some of the crevice-­garden techniques so brilliantly developed by Kenton Seth of Paintbrush Gardens. 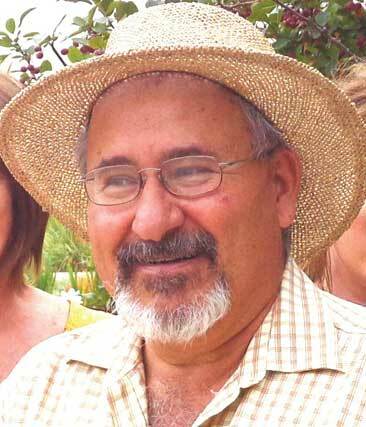 He is a local designer who’s built over 30 crevice gardens in Colorado in recent years and has a spectacular dryland rock garden display at the Apex Simms Street Center at 11706 W. 82nd Ave. in Arvada. I recommend a visit to this garden before attempting any large-scale cactus xeriscape. It will help you achieve success and avoid the many pitfalls of growing these spectacular, but sometimes challenging, plants. When you see a mound of cactus in full bloom, the fuss of growing them doesn’t seems to matter anymore, as you’ll be dazzled by their exotic beauty. Panayoti Kelaidis is senior curator and director of outreach at Denver Botanic Gardens. 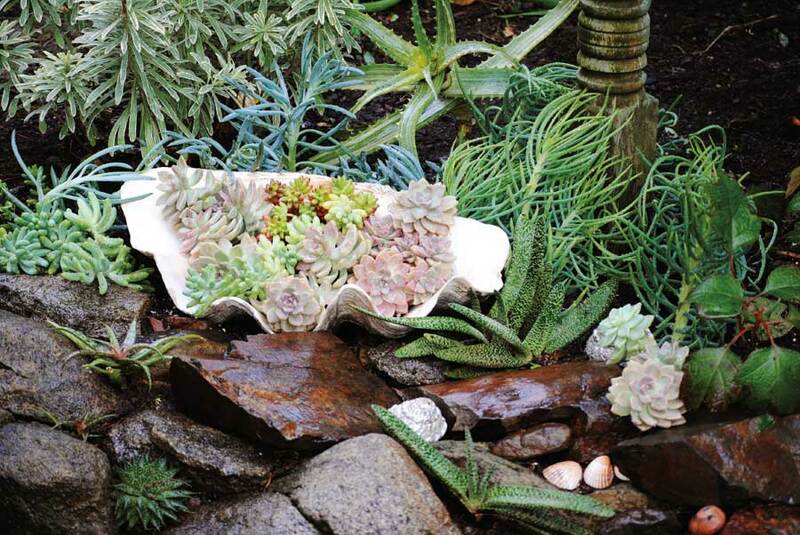 Author Robin Stockwell offers these tips for planting and maintaining your succulents. 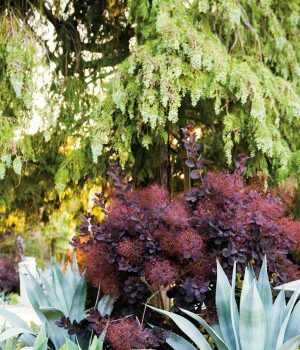 Tips provided by author Robin Stockwell in his book, Succulents: The Ultimate Guide to Choosing, Designing and Growing 200 Easy-Care Plants (Oxmoor House, January 2017). Photos provided by Time Inc. Books. 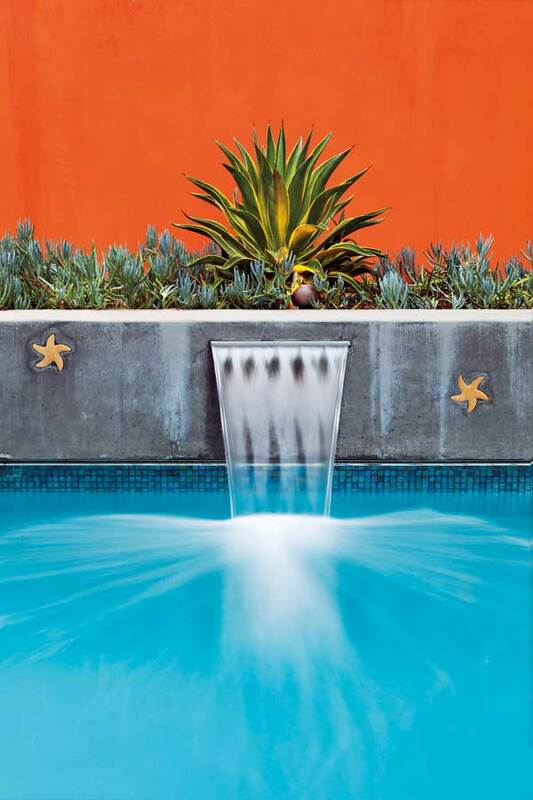 For maximum impact, mix succulents of contrasting shapes and sizes but in shades of the same color, whether warm (oranges and red) or cool shades of blue. 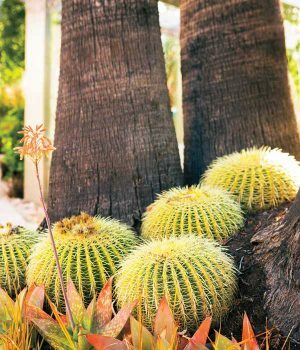 Here, golden barrel cactus (Echinocactus grusonii) nestle between palm trunks, their spines shimmering in sunlight behind coral aloes (A. striata x saponaria) and a fringe of grass-like, orange-tinged Libertia peregrinans. 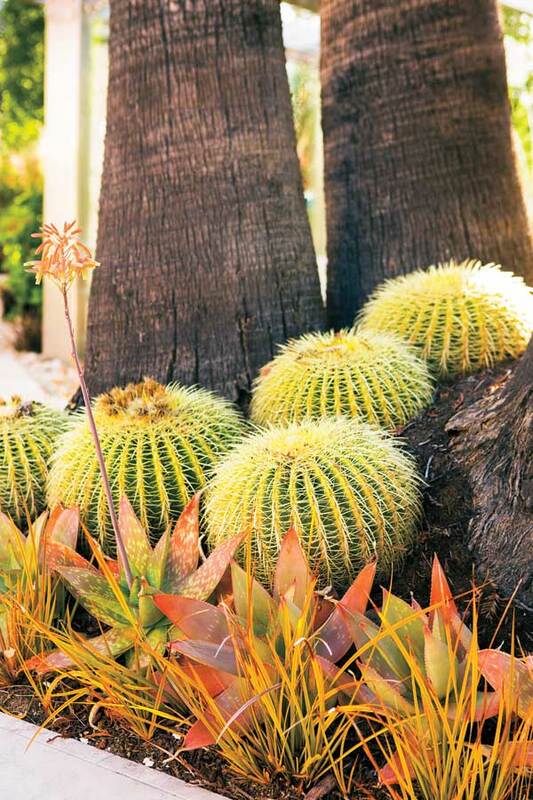 Water-wise shrubs, perennials and grasses make the best companions for succulents in mixed borders. The blue fescue and smoke tree (Cotinus) are great examples. All are showy and easy to grow in a range of climates. Smooth-leafed rosettes of Echeveria elegans edge this bed, in front of ruffly-leafed coral bells (Heuchera) and ornamental grasses. 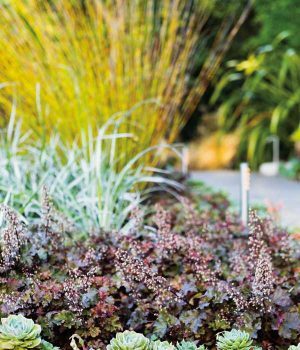 The tidy rows of plants, arranged by height for easy viewing, also combine beautifully for color, with the glacial green echeverias lighting up the dark greens of the coral bells, whose rose-tinged blooms add a seasonal bonus. 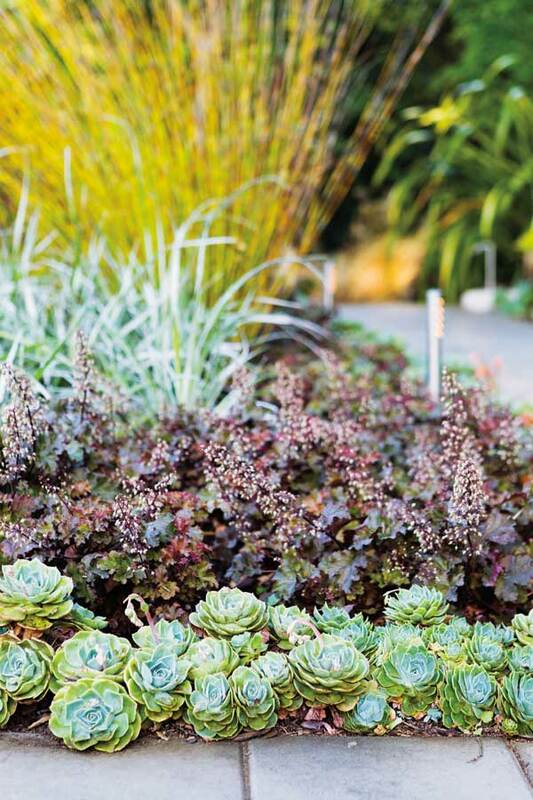 Water-wise shrubs, perennials and grasses make the best companions for succulents in mixed borders. The coral bells (Heuchera) are a great example. All are showy and easy to grow in a range of climates. 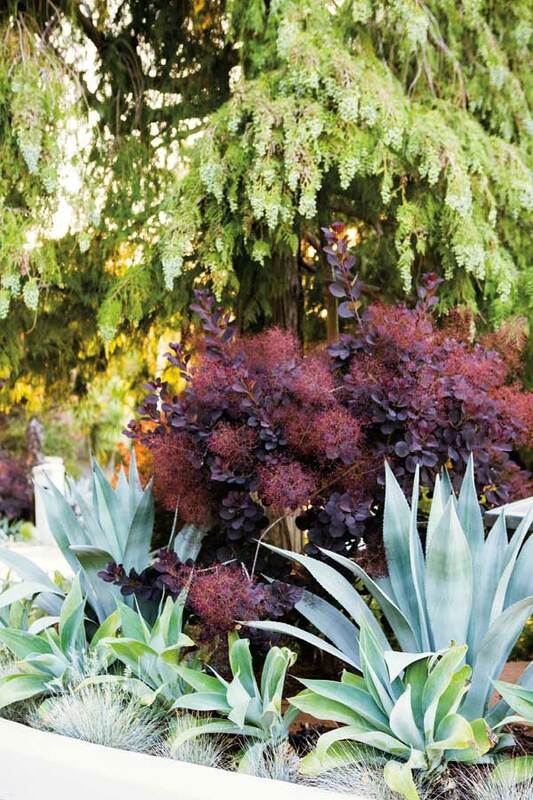 Agave desmettiana ‘Variegata’ shows off its fountain-like form against a hot-red wall. Blue Senecio mandraliscae carpets the ground beneath it; as it grows, the stems will spill over the planter’s edge, creating a waterfall effect above the pool (the Senecio will need periodic pruning to stay above the waterline). 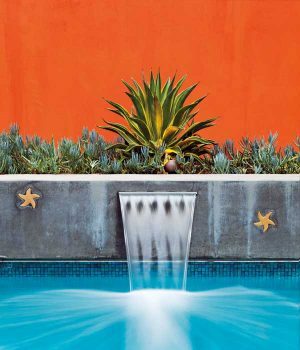 The planter, about 3-feet-wide by 24-feet-long, has a built-in French drain and a weep hole at the right side to drain water away. A drip-watering system, installed before planting, keeps the plants irrigated. Robin Stockwell was once so inspired by a book called Maya Color that he painted several walls at his nursery in bold colors. “Vivid colors really do bring out qualities of the plants that you display in front of them,” he says. Succulent cuttings always need a few days or more to heal (form calluses on their stem ends) before you can plant them. Why not arrange them in a low bowl and enjoy them while they heal? Unlike flowers, these rosettes will look fresh for months.